Eastman is one of the best known manufactures of cloth cutting equipment in the world and with the Bluestreak II they have a machine which is widely used & highly respected through-out the textile & clothing industry. 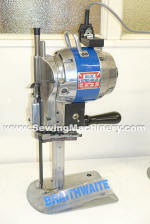 The Eastman Blue Streak II - model 629, is a general purpose straight knife cloth cutting machine, available in different blade sizes. 6" - 8" - 10" - 11.5" or 13" blade size models. 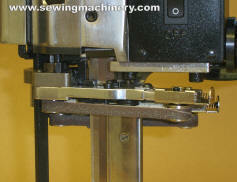 Spare Blades / Knife for the Eastman 629 & 629x Blue streak II available from stock. 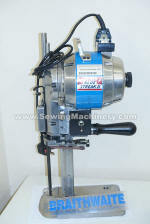 Eastman 629R Bluestreak II 6"
Serviced & supplied with 3 months return to base warranty. 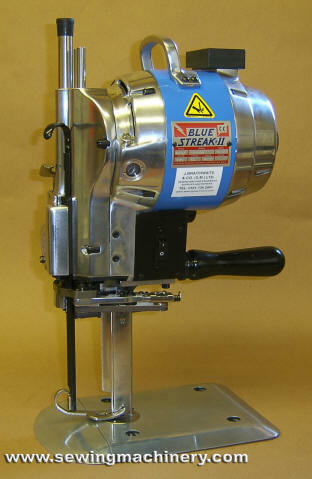 Eastman 629 Blue Streak II 6"
Reconditioned & supplied with 6 months warranty. 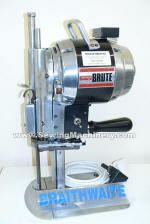 Eastman Brute DUAL SPEED 6"
6 inch blade and powerful DUAL SPEED motor. Technician serviced & supplied with 3 months warranty. Eastman 629-R Blue Streak II 8"
Serviced & tested with 3 months warranty. Eastman 629R Blue Streak II 8"
Eastman 629 Blue Streak II 8"
Eastman 629X Blue Streak II 8"
Reconditioned with 6 months warranty. 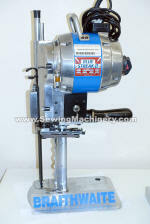 Eastman Slow speed Bluestreak II 8"
Special Slow Speed model to help reduce heat & fusing. 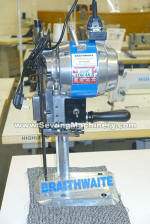 Eastman Dual speed Bluestreak II 8"
Eastman Brute class 627 10"
High version for cutting wadding / quilting etc. 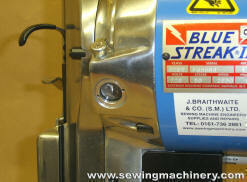 Eastman 629 Bluestreak 2 11.5"
Special high version for cutting wadding & quilting. 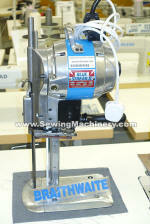 Eastman 629R Bluestreak 2 13"
Extra high version for cutting wadding & quilting.